Today the Hannover Messe starts (25th to 29th April). 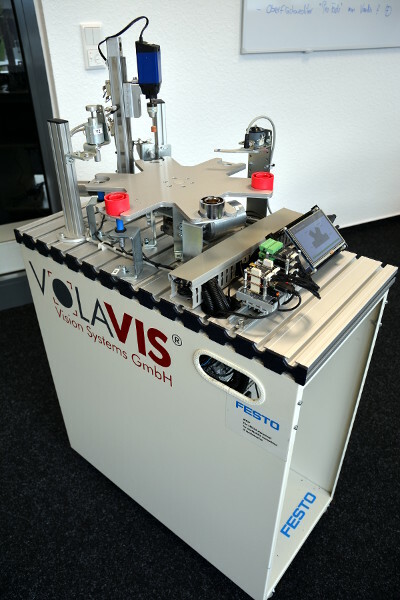 While we are not there ourselves, you will still be able to find some of our products in Hannover at the booth of Volavis GmbH (hall 6, booth K46). The setup consists of lots of Industrial Bricklets that switch valves as well as a RED Brick. The latter provides the control software as well as a user interface that that is shown on a HDMI display with touch. The mini production plant simulates different fabrication steps including the inspection of work pieces and polishing. Volavis is a cross-sector software service provider with know-how in the development of web applications, embedded software and mobile applications. At the trade faire they are showing “Internet of Things” solutions. 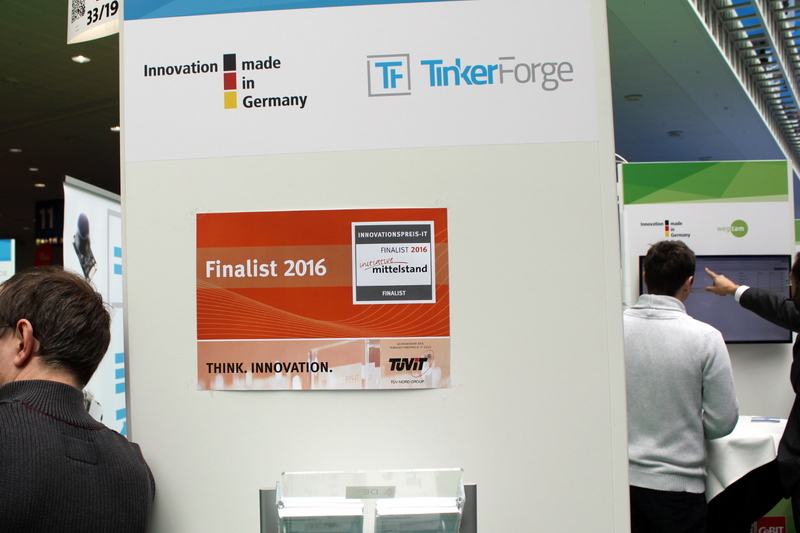 They retrofitted an old demonstration production plant with Tinkerforge hardware to make it suitable for “Industrie 4.0″ applications. The machine is now connected to cloud software, it can be controlled from a tablet and production processes can be analyzed online. 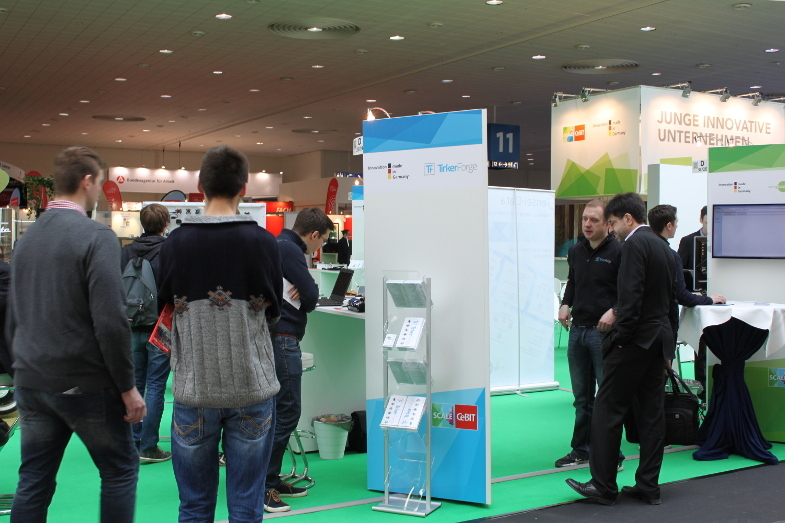 The CeBIT last week was a success for us. Our booth was always busy, sometimes we couldn’t even talk to all of the visitors. We are sorry for the visitors that wanted to visit us but couldn’t wait long enough to speak to us. There definitely wasn’t any boredom for us ;-). Many thanks for all of the nice conversations and suggestions. The Bricklet is equipped with a real-time clock, that keeps date and time. Typically you would use it in applications where the current time is needed but not available. 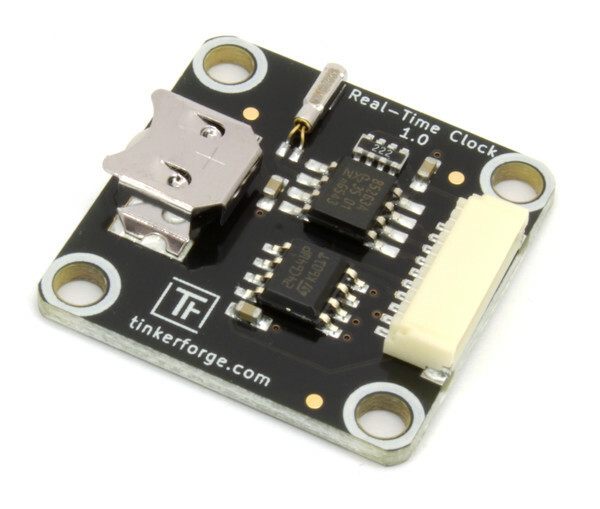 This is often the case if you use a single board computer without a real-time clock (e.g. RED Brick or Raspberry Pi) and there is no connection to the internet for NTP. A RED Brick example program is already available on github. The first day at CeBIT was a success from our point of view. We got many visitors with questions and suggestions. Some of the visitors already use Tinkerforge and shared their project ideas and their experiences with us. Many thanks for this! 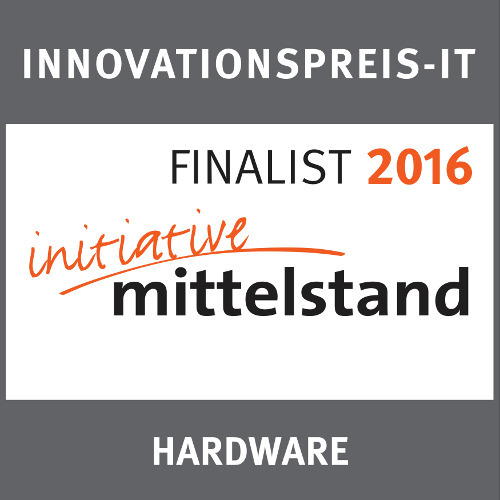 At the end of the first exhibition day we were awarded to be the third in the hardware category of the Innovationspreis-IT. We are at CeBIT until friday. We still have some free tickets for the exhibition. If you are interested in a visit and need a free ticket, please contact us. We made a new display stand to show all our modules neat and tidy. Additionally we brought a Starter Kit: Camera Slider with RED Brick Extension, a workbench equipped with some Bricks and Bricklets and an extra box with more Bricks and Bricklets for testing. Bastian in conversation with with some visitors. 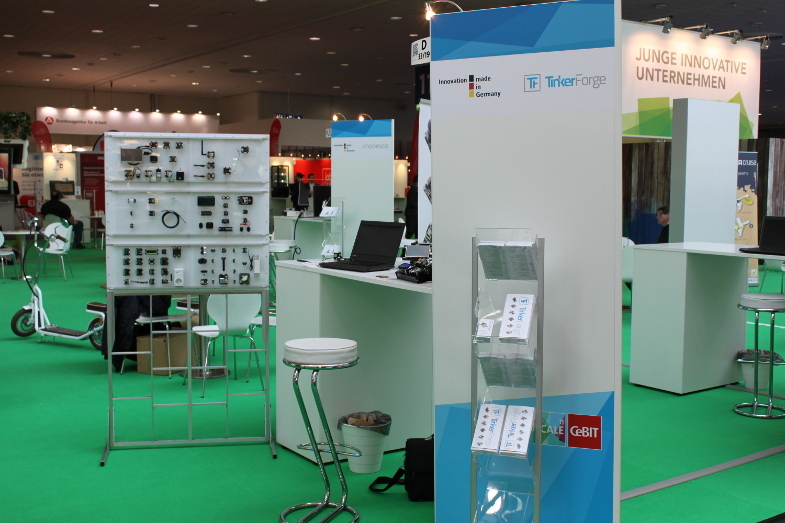 We will start with the CeBIT in Hannover. It takes place from March 14th to 18th. 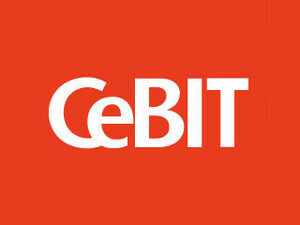 The CeBIT is the worlds biggest trade fair for information technology, it has about 300,000 visitors each year. Instead of investing millions in an ostentatious Tinkerforge pavillion, we settled with a small “Workstation” on the “Gemeinschaftsstand für junge innovative Unternehmen” in Hall 011 ;-). We will showcase our products there. 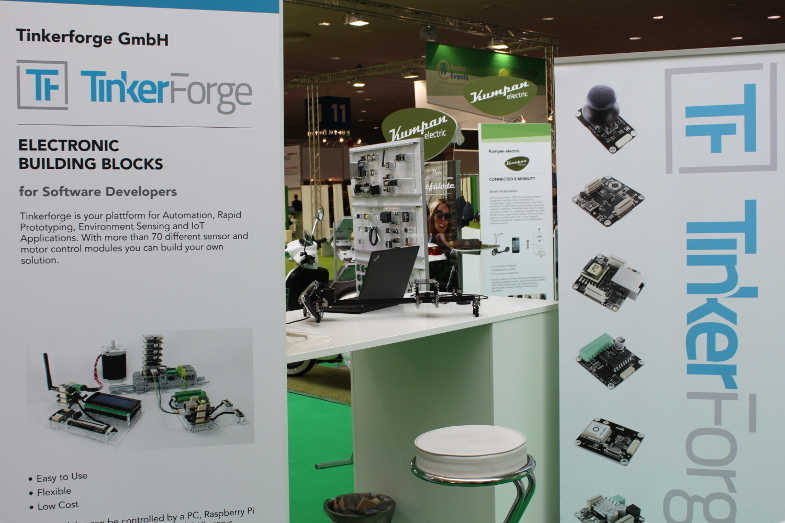 As in the year before last year we will be an exhibitor at the Maker Faire Hannover again. It takes place from May 28th to 29th. 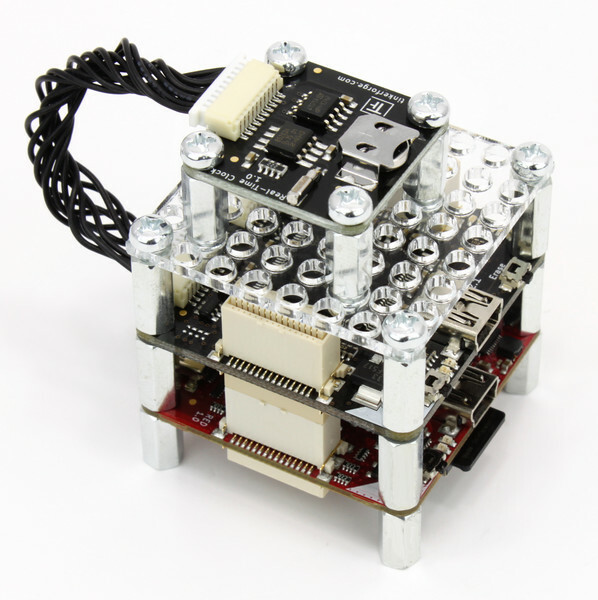 It is a forum for makers. You can find everything there from robots to steampunk to upcycling. The Maker Faire Hannover had 10,000 visitors last year. From the makers we go straight over to industry. From June 21st to 24th we will be at Automatica in Munich. This trade fair, with about 35,000 visitors, is a fair for industrial control technologies. We will have a corner booth in Hall A5, Stand 139A. We are eager to see what awaits us at the trade fairs. Especially CeBIT and Automatica are exciting experiments. We will report from our booths and perhaps we will even see you on-site!